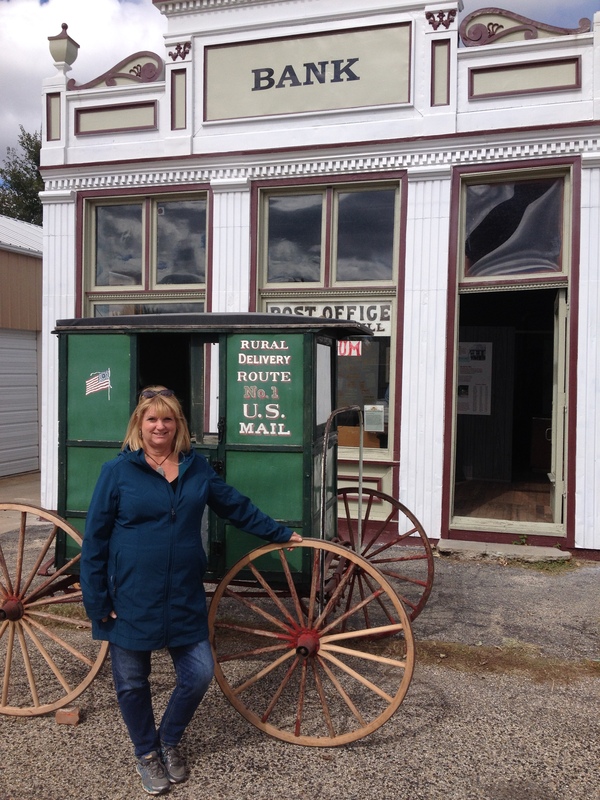 Ellisville Post Office Museum, a glimpse of the postal past! I’ve been reading a historical romance and in the book they speak of posting a letter, by messenger. It is hard to imagine what life would have been like without the trusty post office or the advent of email and texting to get your message across and the long wait to hear from a loved one or business associate. At times in your life, everything would have been hanging in the balance waiting, waiting for that scrap of paper to determine your fate. I know we wait today to hear if we got a job, into a school etc. but once the decision is made, the wait is much shorter than in days gone by to receive the news. When traveling along the Spoon River Drive this past weekend, I was able to get a glimpse into the postal past with the Ellisville Post Office Museum. Sitting out in front of the post office was the rural delivery wagon that belonged to the first rural route postmaster Homer Overcast. Rural delivery for the post office was established in 1905. Mail was carried by this wagon to the rural occupants. The Ellisville post office was established in 1838 by Levi Ellis, the first postmaster, who, ironically was the same man who laid out the town. There is a historical marker for Ellis’s grave so he is still revered in the area today. The post office did not have a building to call its own until 1939 when the post office moved into this building that is now the museum. The building was first used as a bank in 1907. Over the years it was used for a tavern and many other things until becoming the post office in 1939. In 1940, the first woman post mistress, Elizabeth Ware was hired. She served until 1972 moving the post office up the ladder from a 4th class post office to a 3rd class classification. The post office moved once more in 1979 when a new building was built. I enjoyed the chance to learn more about this little town along the Spoon River’s scenic byway! Next Post: Head for the water and the boatel!